What Makes YouTube a great Influencer Marketing channel? What makes YouTube a great Influencer Marketing channel? It’s an interesting question. With so many options to choose from, why would I choose this vs any other influencer platform, or, for that matter, if I have only so much money to put towards marketing in general, why would I put it into YouTube integrations when other options like display media buying or paid search are available? We’ve been having this debate internally because we are continuously amazed at how consistent YouTube is at delivering excellent ROI. So we thought, why is this? Now, let me just preface this by saying it’s not really great for B2B, as B2B “influencers” are far and few between, and spend their time on Twitter and LinkedIn, not YouTube. But for B2C, YouTube is phenomenal. I believe that the fundamental reason this is the case is because we (as in consumers of content) are trained to seek answers to questions when we come to YouTube. In theory, watching funny cat videos solves a problem of boredom or in my case, buying a few minutes of happiness for my three year old if he’s earned it with good behavior, but for most of us, funny cat videos are not why we go to the video platform. If I want to fix a car, make a delicious dinner, learn about the latest makeup and beauty products, etc., that is readily available on YouTube. The behavior of seeking information to solve problems usually comes with a buying decision. As in the car example, if my brakes go bad, I’m going to need to get new parts to fix them, and the parts used by the video or channel I come upon will likely be the parts I go with. Back in the day, in the 1990s (I’m dating myself), you would go to the auto parts store and talk to a representative who could help you find what you needed. Or, if you needed make-up, you could go to a retailer like Macy’s to their makeup department and there were experts there to help you find what you needed and even things you didn’t know you needed! But, times change, and so does our behavior, and while we still need to go to a physical location to finalize a transaction for many things, the researching part takes place well in advance. On YouTube videos. Many who land on YouTube videos and enjoy the content and creator, will become a subscriber of that channel. Channels distribute videos to their loyal subscribers and large followings and also reach an audience that finds them via YouTube search queries, so it’s a nice 2 for 1 combo. The YouTube channel creates content that is typically content people are looking for, eg movie reviews give in-depth reviews and people decide to see a movie off of that. Or, fashion channels talk about the latest styles and clothing and the audience incorporates that style into their own and buys product used in the video. A YouTube channel subscriber is a signal that someone trusts the content creator. 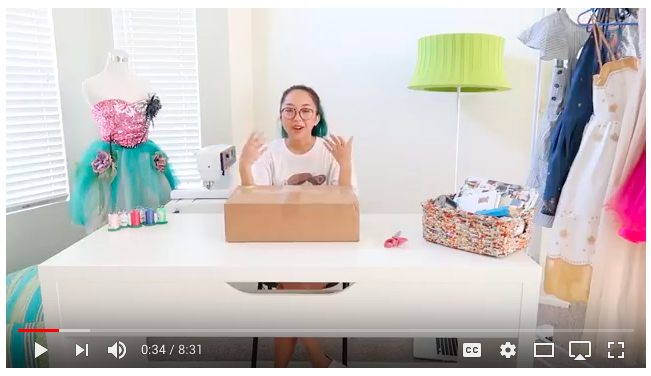 A study showed that 6 in 10 YouTube subscribers would follow advice on what to buy from their favorite creator over their favorite TV or movie personality. So, as a brand, what better place to position your product than in front of a trusted 3rd party’s loyal audience that already comes to the channel to seek something like your product out? Instagram is great for certain verticals but limited in others; blogging is fine but it’s about to be 2018 and not 2012; Facebook is constantly minimizing organic reach so people will pay up to reach a larger audience, and Pinterest is pretty much against the idea of “influencers” on their platform. But YouTube… that’s a different story. They’re not minimizing your reach. They’re not limited because it’s not an ephemeral image that is replaced by the next hot image that goes up hours later. They’re not text (and let’s be honest, for most, people aren’t big fans of reading long-form text or blog posts these days). But video? sign me up. TV (linear, sports, Netflix, Hulu, etc) and TV like experiences, which is where YouTube falls under, has and will continue to dominate attention in our always-connected world. Reach was a big thing over the past few years and Facebook led the way there. If you sought to buy ads or do native sponsorships, companies were always concerned with “reach.” Well, we’re moving from reach to engagement, but not engagement as in liking content mindlessly or putting up a simple comment “really cool,” but rather engagement so the audience can recall the brand later. The ability to recall a brand is crucial in a digital world and it’s easy to recall that video you watched, but not so much that banner that was flashing on your screen around what you were reading, or those text links around a search query. And that’s why YouTube continues to exceed expectations and generate significant ROI for brands. It’s the only medium where a short advertisement runs ~:60 and a long one 15 minutes or more. The ad is the content, and the content is authentic. Why? Instantaneous feedback loop would destroy the channel’s credibility if the audience perceived the sponsorship as inauthentic. It’s a good formula, have you tried it?